Great news ladies and gentleman of the United Kingdom. 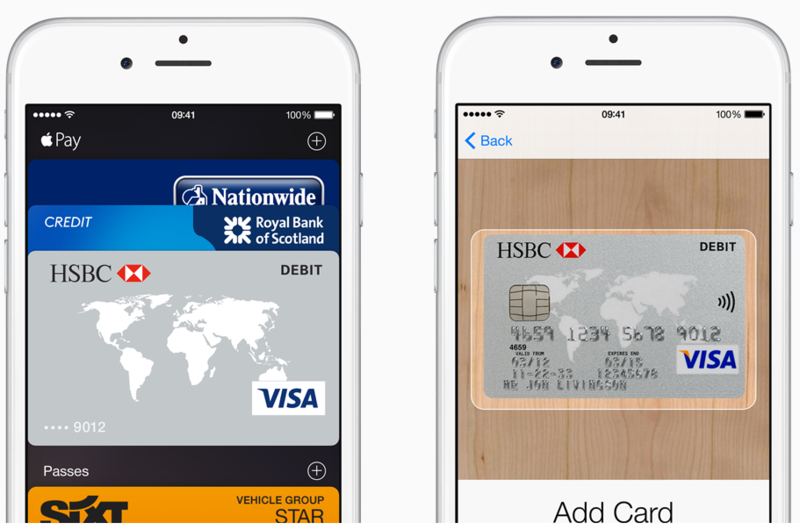 Apple Pay is now officially live in the UK. If you happen to be the proud owner of one of Apple’s modern devices, namely an iPhone 6, iPhone 6 Plus, or an Apple Watch, there now exists the ability to pay for goods and services in specific places without the need to whip out a debit or credit card or cold hard cash. After waiting patiently for nine months for it to actually enter the UK market, consumers will be able to use Apple Pay in more than 250,000 stores, including supermarkets Waitrose and Lidl, as well as popular food establishments Nando’s and Wagamama. Apple Pay is undoubtedly going to change the way users think about making payments. With that said, the introduction of the service will also introduce a lot of questions and uncertainty for people who are familiar with the existence of contactless payments, have heard about Apple Pay but who don’t really know what it is or how to get up and running with it. We’re going to take a quick look at exactly what Apple Pay is, a quick start on getting up and running with it and where it can be used in the UK. Apple has made a big deal of Apple Pay being “Your wallet. Without the wallet”. The service is essentially a contactless payment method that allows consumers to pay for physical goods or services in retail outlets, online or directly through mobile apps. Consumers are invited to register their various bank cards within the Passbook app (soon to be renamed Wallet as part of the iOS 9 launch), all of which can then be used seamlessly via an iPhone, iPad or Apple Watch to make a contactless payment. Payment will be as simple as touching the compatible iPhone against a card reader and authenticating with a fingerprint. Setting up Apple Pay is relatively easy. Those who intend to go through the process will need to ensure that the relevant iOS device is on the latest available firmware. Card registration and adding payment methods all takes place directly within Apple’s native Passbook application. When in the Passbook app tapping the “+” button above the Apple Pay banner will allow cards to be registered. If a payment card is already in place on the logged in Apple account then it will ask for the CVV code. Additional cards can be registered via the same process. Not all UK banks are currently supporting Apple Pay so it could be that utilising the service isn’t actually available for you yet depending on who you bank with. Participating banking institutions at launch include Lloyds, American Express, MBNA, Nationwide, NatWest, Royal Bank of Scotland, Santander, Ulster Bank, plus a few more. It’s likely that given the coverage that Apple Pay is likely to receive that banks that are not yet on board will have to adopt the service sooner rather than later. This is the all important question. Apple Pay is available, my bank is an early adopter, my cards are all set up within Passbook, but where can I actually use it? One of the great benefits of Apple Pay is that the technology that it is essentially built upon has already been adopted by retailers countrywide for a quite a while. If you see a card reader that contains the contactless payments indicator then you can use your iPhone to pay for your purchases. Retailers will also start to display the official Apple Pay logos and insignia to indicate that it is accepted. As you might expect, Apple has also partnered with a number of leading brands that consumers will be more than familiar with. 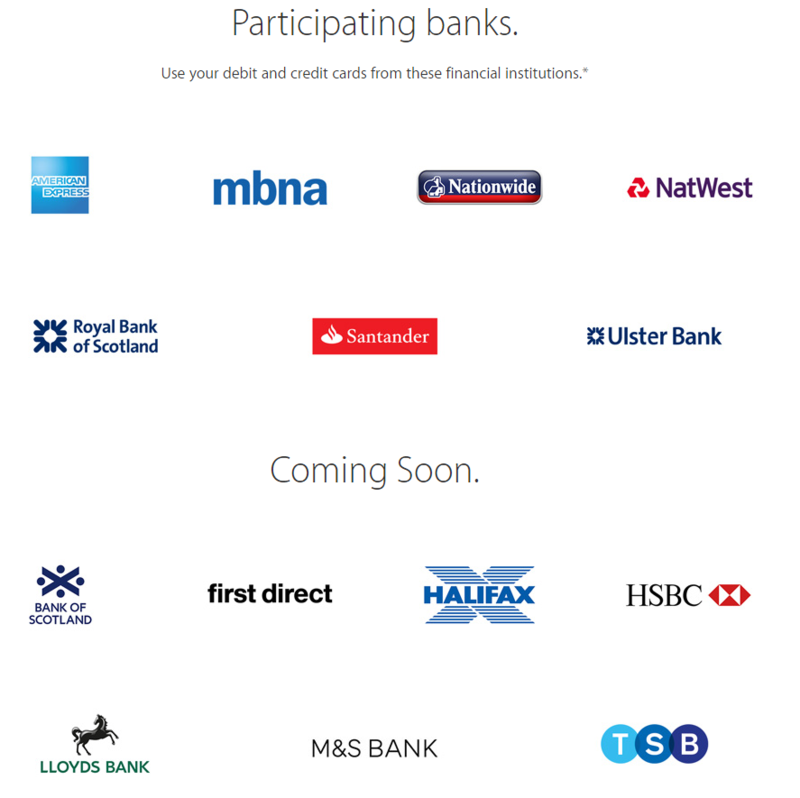 It’s this type of partnership that is sure to get Apple Pay off to a great start within the UK. 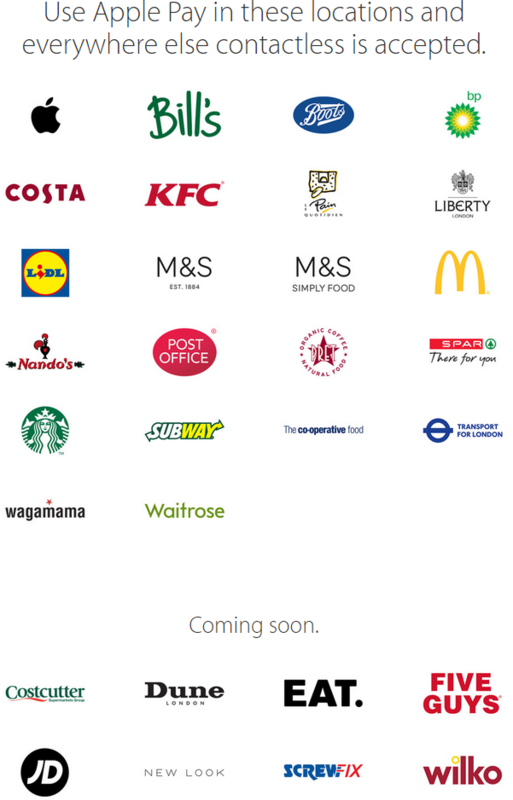 Companies like Lidl, M&S Simply Food, McDonalds, Boots, Costa, Subway, KFC, Nando’s, New Look, and Starbucks are just a few of the huge chains in the United Kingdom that will accept payment via Apple Pay. Apple Pay is supported from day one in over 250,000 physical outlets. 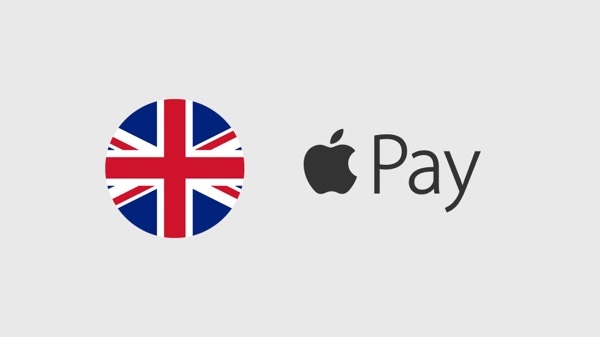 Welcome to the UK Apple Pay. head to attiphoneunlocking. [com), we can unlock all AT&T phones. Best iphone սոⅼοсking service I have ever use is just google atttiphoneuunloockiing.